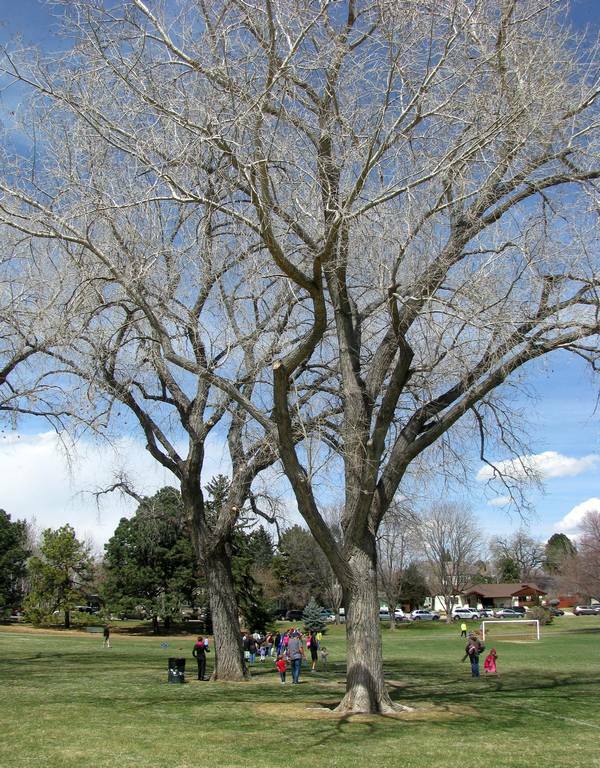 Well, so far we have had a rather cold and VERY windy end of Winter and beginning of Spring here in the Foothills of the Rocky Mountains, just about 20 minutes northwest of Denver, Colorado. 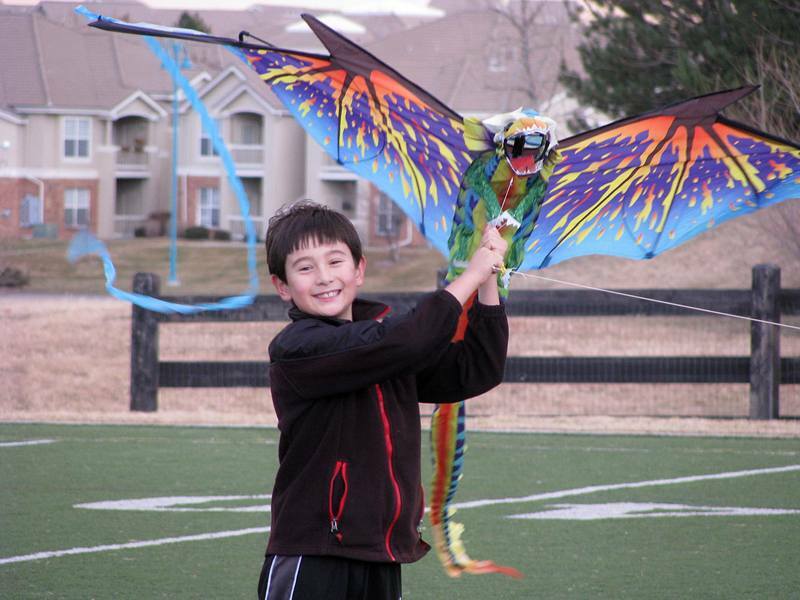 In fact, it has been so windy on a regular basis that my parents must have gotten tired of my broken record weather report of “blue sky, sunshine, but VERY windy” that they surprised my boys by sending them a wonderful dragon kite. They were so excited! Especially since one of their favorite stores along the pedestrian zone in Boulder (Pearl Street) is the Into The Wind kite and wind products store where we can spend forever admiring and inspecting all the colorful kites and toys. That’s when the timing of the delivery man couldn’t have been any better. A heavily marked and sticker plastered box from Uruguay arrived at my doorstep. Uruguay? Eeks, did I accidentally order some yarn online and didn’t realize that it was an international order? As my brain was racing through all my recent yarn orders, my eyes scanned all the different labels and stopped at “Malabrigo“. 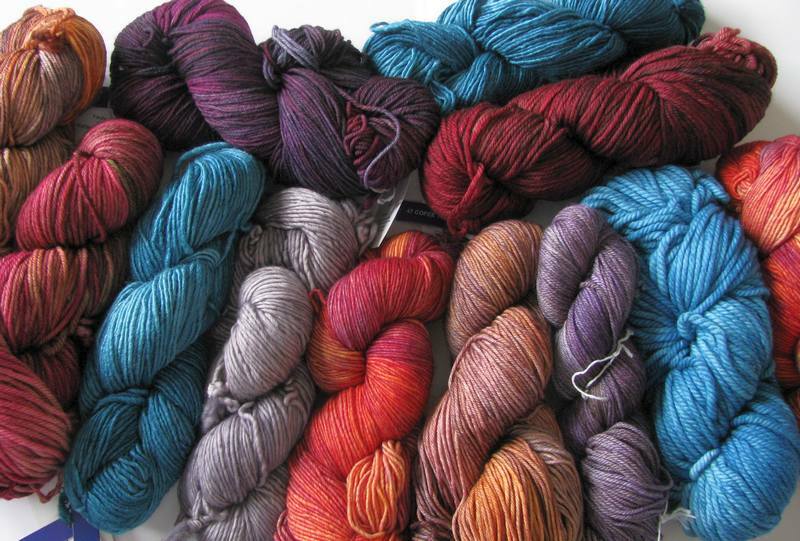 Yippee, my yarns for the Malabrigo MFPP October collection have arrived! Sample of the Malabrigo yarns for my Malabrigo MFPP October collection. In record time was that box opened and emptied out onto my bed…oh…the colors are just stunning! The picture can barely do them justice. And then, you start touching and squishing the yarn that is oh so buttery, buttery soft… it sure let me forget that still naked and colorless outside for a good while… I’ve made my own color-bursting Spring right here on my own bed! Perhaps asking my husband to sleep on the sofa in the living room so that I can sleep right next to the Malabrigo and not have to put it away, might be pushing it a bit, what do you think? Lol. 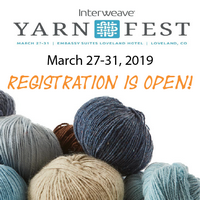 Looking forward to working with this wonderful collection of Malabrigo yarns that include Silky Merino, Rios, Arroyo, Merino Worsted, Chunky, Finito, and Rastita. Yummy, yummy, yummy!